Lia Isakov is facing her third bout with aggressive leukemia and has undergone over 150 chemotherapy sessions. 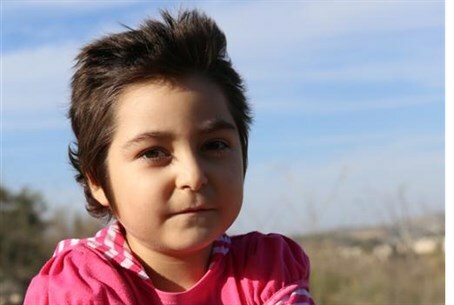 Lia Isakov, a 6-year-old from Mevasseret Tzion, is facing an aggressive form of leukemia for the third time in her short life. She has undergone 150 chemotherapy sessions and has received a bone marrow donation from her brother Isiel, a soldier, but her disease keeps on coming back. Her mother, Ina, told reporters that she was fine until the age of four. It was then that she became ill with what appeared to be a fever. The family doctor noticed a discoloration of a bruise on her leg, however, and she was sent to Hadassah Hospital for blood tests, which diagnosed her with leukemia. After several months of treatment, the leukemia appeared to have been defeated. But in early 2014, it returned. The bone marrow transplant from her brother was successful and the cancer again went into remission – only to return again, three months ago. Lia's doctors say that chemotherapy alone will not stop the disease. They recommend an experimental immunological treatment that has successfully healed cancer patients like Lia, whose cancer proved immune to other treatment. One of the leading providers of the treatment is the Hospital of the University of Pennsylvania in Philadelphia. A million shekels, or about $254,000, need to be raised for Lia's treatment. One-third of the sum has already been raised, and Lia will fly to the U.S. Next week to begin treatment. However, the remaining cash still has to be raised. Donations can be made through Kav Lachayim. Other fundraising campaigns for saving lives can also be viewed on Kav Lachayim's website.